Welcome to Nighthawk Canoes. 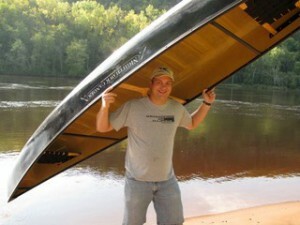 Nighthawk Canoes specializes in custom-built, lightweight, kevlar® canoes. Our canoes are all handmade, one at a time, and feature an unbelievable combination of lightweight, durability, and performance. I take great pride in making these premium quality canoes for you. There are four models of Nighthawk Canoes: the sleek Columba solo canoe, the nimble Cygnus 16, the touring-size Leo 17, and expedition-size Pegasus 18.5. Each model can be custom configured to better suit your paddling style and preferences. Custom size canoes, touring kayaks, and other small boats are now available through our new custom series process as well. Since I build canoes one at a time, and have a large catalog of optional finishes and features, your Nighthawk Canoe is literally one of a kind… tailored to your preferences for weight, comfort, durability, appearance, personal paddling style and intended use. Nighthawk’s optional finishes are especially attractive, and most are available nowhere else. I’m happy to take the time to talk with you and recommend a canoe set-up that will work for your particular needs. If you want a canoe of the highest quality, a canoe that is individually hand-crafted by an expert builder, a canoe made or delivered locally where you can meet and buy from the builder, an American-made canoe, a canoe made to meet your own specifications, and a canoe that has high-performance, lightweight, and is uniquely attractive, then Nighthawk Canoes is the best choice for your new canoe. Nighthawk Canoes have been thoroughly tested and refined. The result is a canoe unlike anything else on the market. I am very proud of the results, and I’m sure you will love your Nighthawk Canoe. I am an enthusiastic paddler, a dedicated builder and I love solving problems. Feel free to contact me for help setting up your own perfect canoe. Nighthawk Canoes was established in 2009, in Saint Paul, Minnesota. We are now manufacturing in southern Indiana, with regular deliveries and demos available in Indiana, Illinois, Wisconsin and Minnesota. Canoes can be delivered in surrounding areas and shipped nationwide. Please contact us for more information. Kevlar® is a high-tech, modern, synthetic fiber, that is EXTREMELY strong. It is 5x stronger than steel by weight, so very little of it is required to make a solid canoe… hence the lightweight. Kevlar ® canoes are also quiet in the water… they do not bang when you hit a rock or strike them with the paddle. Since composites (like Kevlar®) can be molded into any shape, these canoes also tend to feature the highest performance. They are not limited in design by the structural and manufacturing needs of cheaper materials that can be weak or hard to form. 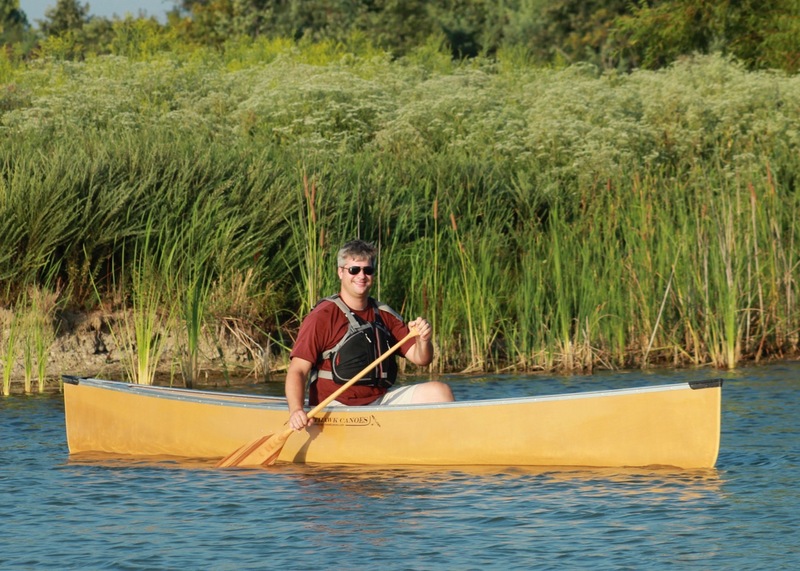 Kevlar canoes will last a lifetime if properly cared for, and are easy to repair if damaged. For these reasons– lightweight, quiet paddling, longevity and performance– kevlar® canoes are the best way to be on the water, and Nighthawk Canoes are the finest around.